Famed as a major trading post of colonial times, Balasore is a beautiful coastal city in Odisha. It is regarded as one of the most literate towns in the state with more than 100 educational centres. It is the only city in India where ballistic satellite missiles are tested by the Defence Research and Development Organisation (DRDO). Travel to Balasore for exploring tombs, divine temples, exotic wildlife and lush green scenery. The enchanting beaches fringed by the casuarinas trees also make the city a major hotspot for tourists. The history of Balasore suggests that it was ruled by the Mughals after the demise of Mukunda Dev of Chalukya dynasty. The East India Company acquired the territory and it remained a part of Bengal Presidency till 1912. Balasore Tour is incomplete without tasting Chandini-a typical Oriya cuisine which is found only in Balasore. 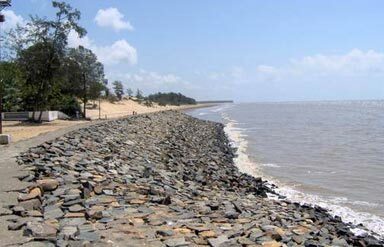 The shiny sand, swaying casuarinas and the playful waves of Chandipur beach will leave you in awe. It is interesting to see the locals hunting for small fishes especially when the tides recede at fixed hours. It has been to test for famous missiles like Agni, Prithvi, Shaurya and Akash. It is an ancient 12th century temple built by King Langula Narasimha Deva from Utkala dynasty. The Oriya word ‘Khirachora’ means the ‘stealer of milk’ while Gopinath is one of the names of Lord Krishna. The reference is to Lord Krishna’s fondness for milk. Witness this holy site which has long been a seat of Vaishnavite culture. It is built in Utkaliya style of architecture with Lord Gopinatha as its presiding deity. He is built of black stone and stands in low-relief sculpture. He is flanked by the images of Lord Govinda and Madan Mohan on either side. It is believed that the God Rama had carved Lord Gopinatha from his arrow. Pilgrims are given the delicious sweet dish called Amruta Keli after it is offered to the deity. It is made of condensed milk, sugar and cream sprinkled with some raisins. 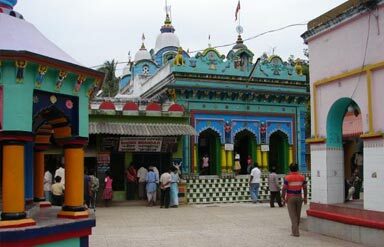 Ensconced in the blue hills of Nilgiri, every tourist must visit Panchalingeswar Temple at least once. The revered venue houses the 5 lingams of Lord Shiva. Legend has it that these lingams were placed in the temple by King Banasura himself. The temple is surrounded by lush-green forest, making it a place of choice for naturalists and deep-thinkers. One has to climb 260 stairs to reach the temple at hilltop. Old rocks can be seen at the sides of the stairway offering a rustic touch to the ambiance. The lingams lie behind the waterfall making it one of the most unique shrines in India. Seep into the beauty of water trickling down from the falls between these rocks. Many tourists prefer to have a relaxing bath in it. Close to this is another temple called Banadevi Temple. A small lake rests in front of the temple. It is believed that this lake has no external source of water-flow and the water oozes out of the earth by itself. Seek blessings from the divine shrine of Bhujakhia Pir. 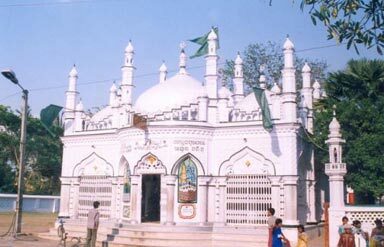 It is basically the tomb of Hazrat Swale Muhammad famously known as Bhujakhia Pir. Both Hindus and Muslims gather here especially during the occasion of Urs. Presumably, Hazrat Swale Muhammad had arrived in Odisha during 16th century. He devoted his entire life to the service of mankind. The saint was fond of puffed rice, locally called as Bhuja, thus, giving him the name of Bhujakhia Pir. Remuna(9km), Balaram Gadi(19km) and Chandaneswar(90km) are some of the nearby escapes to explore in your Balasore trip. There are several shopping areas in the city like Nua Bazar, Vivekanand Marg, ITI Chakh, Town Hall, Nua Shahi, Motiganj and FM Square. Be sure to taste the famous sweet called ‘Chhena Poda’ when visiting. It is made of burnt cheese dipped in the sugar syrup. The city experiences cool and pleasant weather conditions during September-March making it ideal for sightseeing. Kali Puja (November) is the most famous of all festivals celebrated with full fervour. Tourists can enjoy the colourful fairs organised on this occasion. Air: The nearest aerodrome is in Bhubaneswar, about 176km away from the destination. Rail: Trains are available from Kolkata, Chennai, Hyderabad, Lucknow and Kanpur for the destination. Road: There are no bus routes for the destination. You can hire car or drive for yourself from Kolkata to reach this tourist site. So, travel to Balasore and enjoy the most dramatic scenic vistas of Odisha. 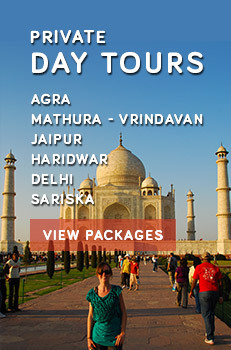 Opt for amazing Balasore holiday packages today.